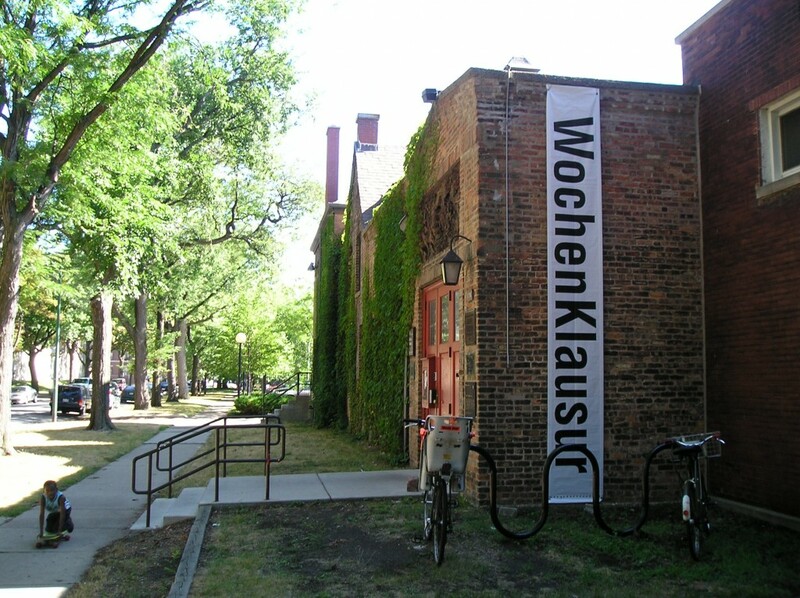 WochenKlausur, employees of the Smart Museum, students of the University of Chicago Art Department, students of the Illinois Institute of Technology, students of Harrington College of Design, social institutions and their users. Exhibition â€˜Beyond Green: Towards a Sustainable Artâ€™, Smart Museum & University of Chicago. 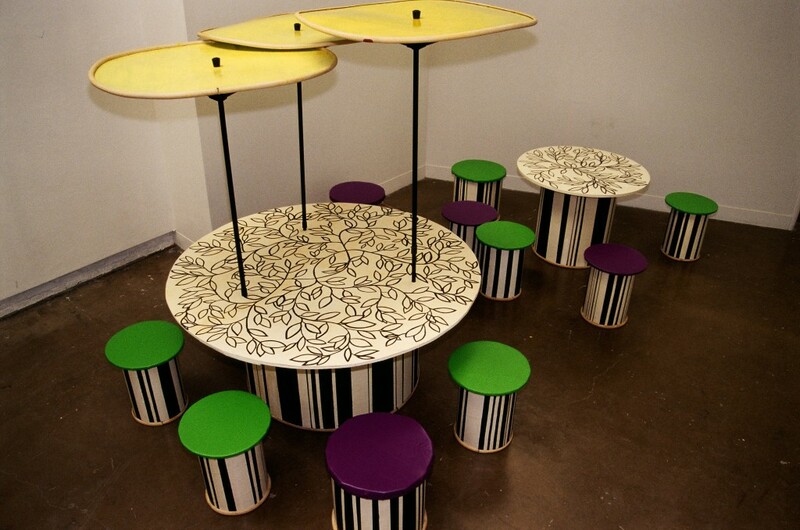 institutes into furnishings and everyday objects that can be used by social institutions. The group visited homeless shelters, soup kitchens, clothing distribution centres and other similar institutions in the neighbourhood, evaluating their need for furnishings, interior remodelling and everyday objects. Simultaneously, theatres and museums were asked to join the network on a permanent basis, and to supply at regular intervals materials that otherwise would be thrown away. The projectâ€™s final task was to found a non-profit organisation that could manage the long-term operation and coordination of the network. This new organisation, is named Material Exchange. To create a more sustainable use of materials used by cultural institutions, repurposing them for organisations that needed better facilities. Using the materials from the cultural institutions, the students design and build-to-order the items needed by the social organisations.